Tori Graham is in need of a holiday. 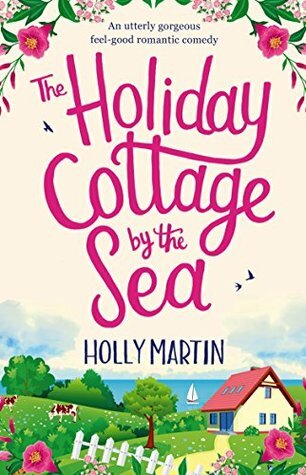 Trying to piece her heart back together after losing the love of her life, she escapes to Blossom Cottage, with its picturesque views of the sea. And plans to spend the summer in gorgeous Sandcastle Bay, where her best friend Melody Rosewood lives. Tori’s not expecting her summer by the beach to be eventful, until she meets handsome and mysterious Aidan Jackson… Aidan looks after the holiday cottage Tori is staying in. Healing from past hurts, he wants to avoid any further chance of heartache. But could this newcomer be the breath of fresh air he needs? Finding herself embracing life in the coastal community, Tori starts to fall in love with Sandcastle Bay and its welcoming cast of residents. But that’s not all she begins to fall for, as Tori is swept away by Aidan’s genuine heart and mischievous sense of humour. The attraction between them is undeniable, but will a simple holiday romance be enough? As Tori’s stay in Sandcastle Bay comes to an end she has a tough decision to make…. Has her heart found a new place to call home? 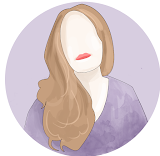 I put a shout out on twitter looking for a sugar sweet beach read with a romance story to break up all the thrillers i have been reading lately. This one was shared back at me, and lucky for me it was on NetGalley. I devoured this in two days and it would of been quicker if life hadn't got in the way, so it was excatly what i was seeking. Tori has just arrived in Sandcastle Bay to catch up with her best friend, after esentially been stuck under a rock working it was time to come up for some air, and seaside air was always a great solution. Snapping up the oppurtunity to work in exchange for a place to stay and some downtime works out great for Tori. What she wasnt counting on is an old lady prediciting her marriage to Aidan Jackson within minutes of her arriving. Thats okay though, because shes meeting Parker....well, that changes when she learns Aidans nickname is Parker. Thats okay though, because neither of them want a thing, and Tori is still mending her own heart after a troubled time. What wasnt counted on the undeniable tension between them, and maybe a summer fling could help them both out? However, would that ever be enough? This was a wonderful read that melted my heart, was sugar sweet in the right places with some sizzling tension for good measure. Enough mention of the beach and coastal community to keep the read interested as we meet the cast of locals. It made me laugh, it made me swoon and it made me want to take a visit to the beach. This was everything i was looking for and filled the beach based book void in my heart. I am so looking forward to returning to Sandcastle Bay to find out how everyone is getting on. Holly lives in a little white cottage by the sea. She studied media at university which led to a very glitzy career as a hotel receptionist followed by a even more glamorous two years working in a bank. The moment that one of her colleagues received the much coveted carriage clock for fifteen years’ service was the moment when she knew she had to escape. She quit her job and returned to university to train to be a teacher. Three years later, she emerged wide eyed and terrified that she now had responsibility for the development of thirty young minds. She taught for four years and then escaped the classroom to teach history workshops, dressing up as a Viking one day and an Egyptian High Priestess the next. But the long journeys around the UK and many hours sat on the M25 gave her a lot of time to plan out her stories and she now writes full time, doing what she loves.